TORONTO, ON – A homebrewing project that is transitioning to a commercial concern has announced that the first of its brands is now available via retail outlets in Ontario. 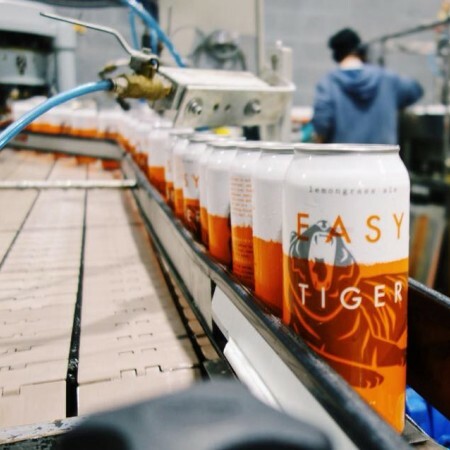 Inspired by the flavours of Southeast Asia, Easy Tiger pours a brilliant straw colour with a thick foamy head. The fresh lemongrass is complimented by the hops leading to a medium-dry, refreshing finish. It took sixteen pilot batches of fine-tuning and patience to craft this remarkably balanced and aromatic brew. Silly Sir Easy Tiger is available now in 473 ml cans at select LCBO stores.